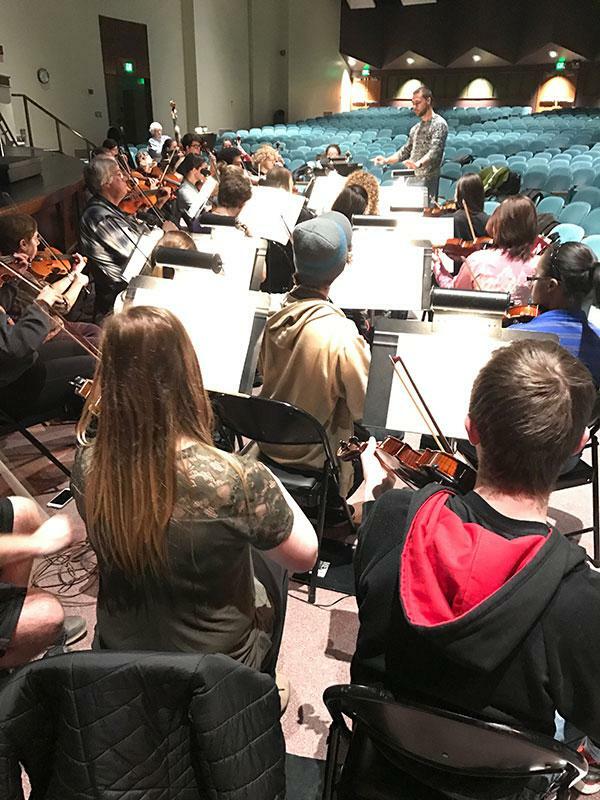 Music performance opportunities at Ferris State University are designed to supplement and enrich the lives of students by assisting them in making the transition from the high school musical setting to the world of adult amateur musical ensembles. 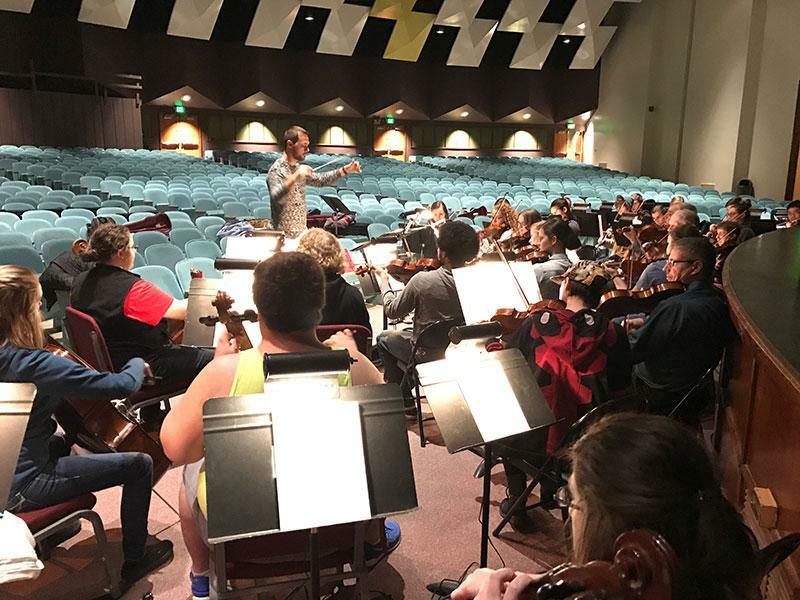 Ferris students can continue to develop their musical skills and be prepared for a rewarding musical "life after college" by participating in Ferris musical ensembles that include both university students and members of the community—the format of the majority of community ensembles throughout the country. 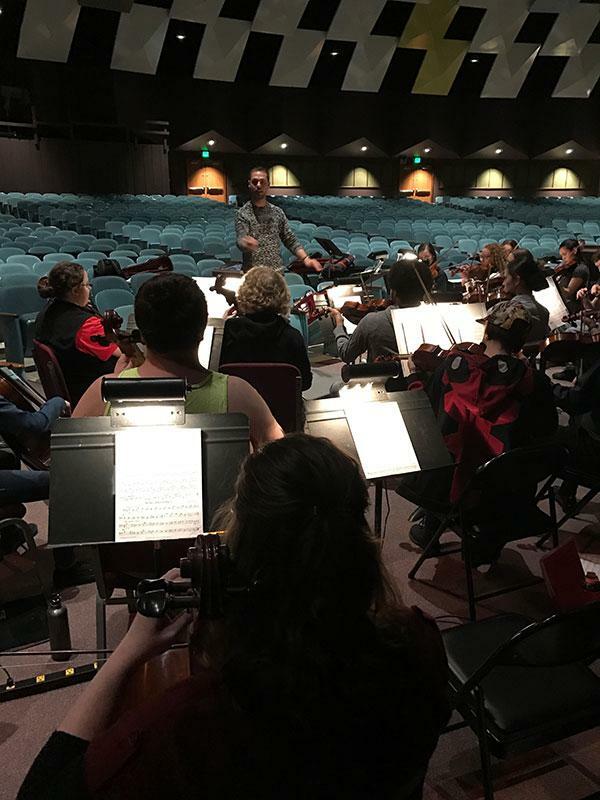 In this way, we aspire to inspire all Ferris students to continue to enrich their lives and the lives of others as active performers of music—for life! 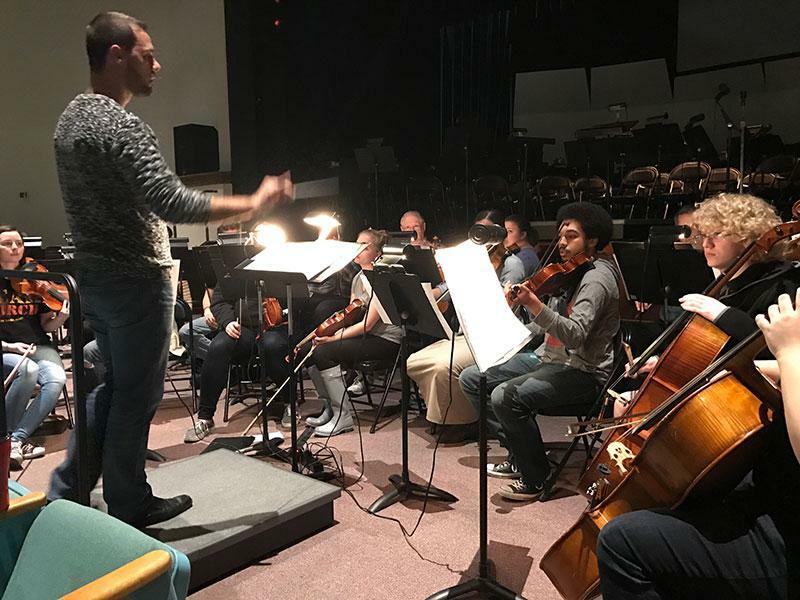 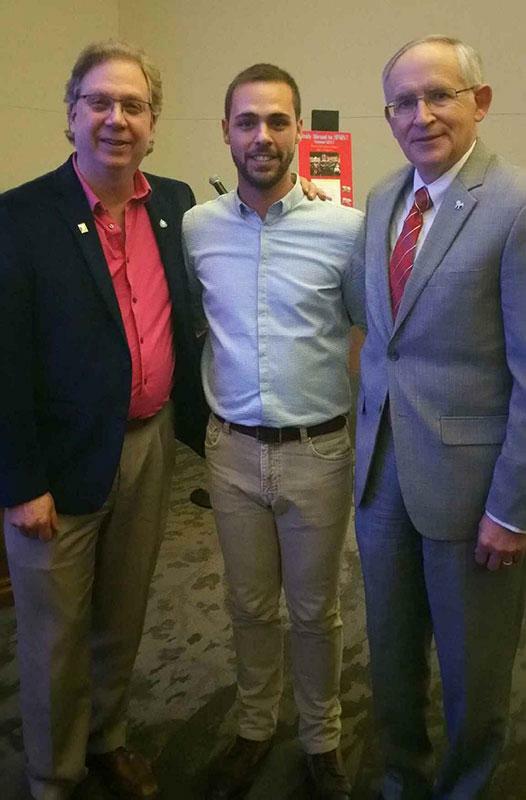 Conductor/composer Adrián Ronda-Sampayo of Spain visited Ferris State and Big Rapids the week of February 19. 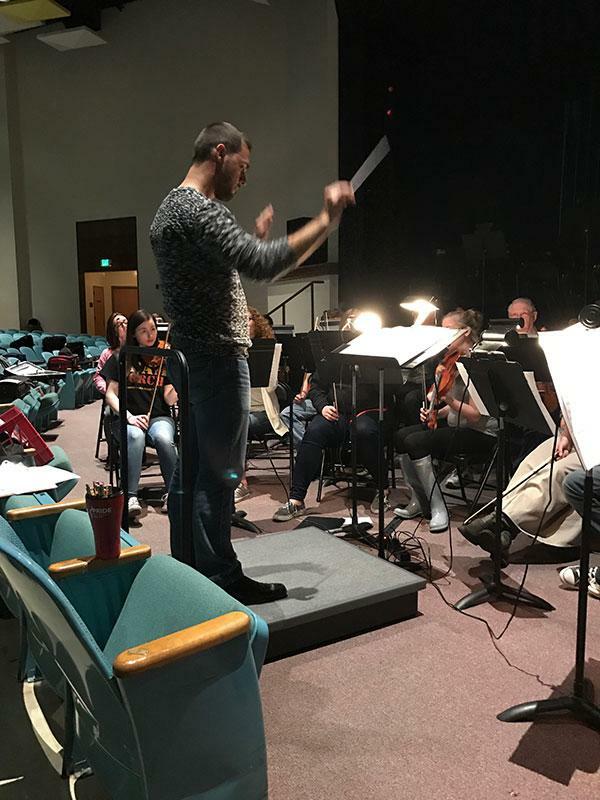 Ronda-Sampayo rehearsed with the FSU West Central Chamber Orchestra on February 21, and did a radio interview yesterday morning with Steve Masters on Sunny 97.3 FM on February 22. 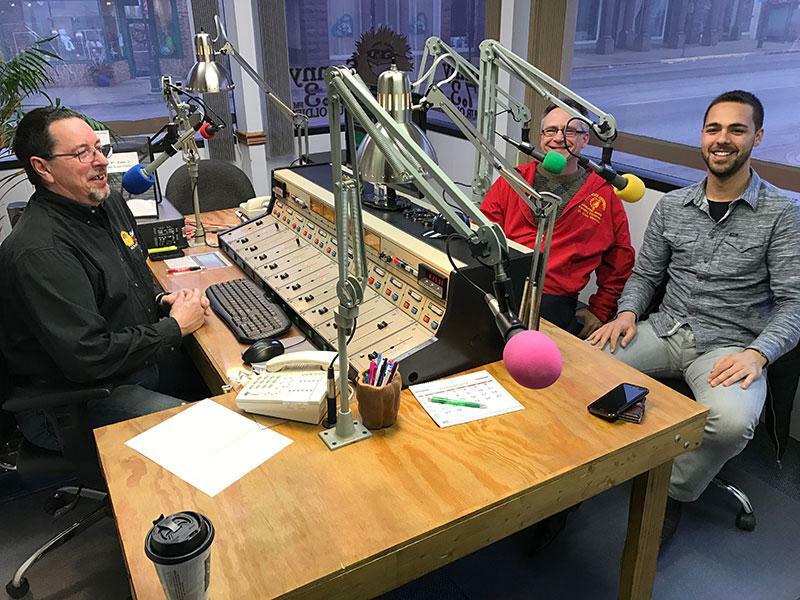 FSU Pep Band Director Dale Skornia (also pictured) and R. Scott Cohen, Director of Instrumental Concert Ensembles, were also part of that interview. 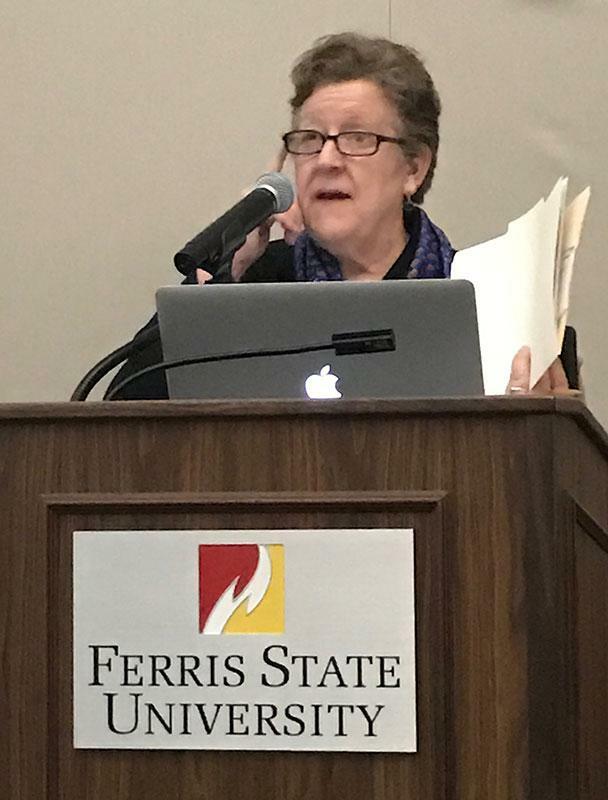 On February 23, Ronda-Sampayo presented the annual Robert C. Ferguson Foreign Lecture at Ferris. 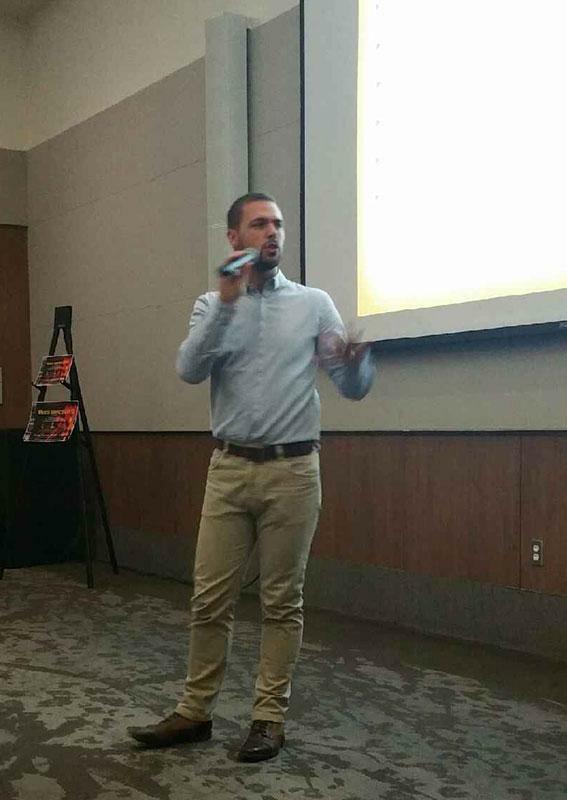 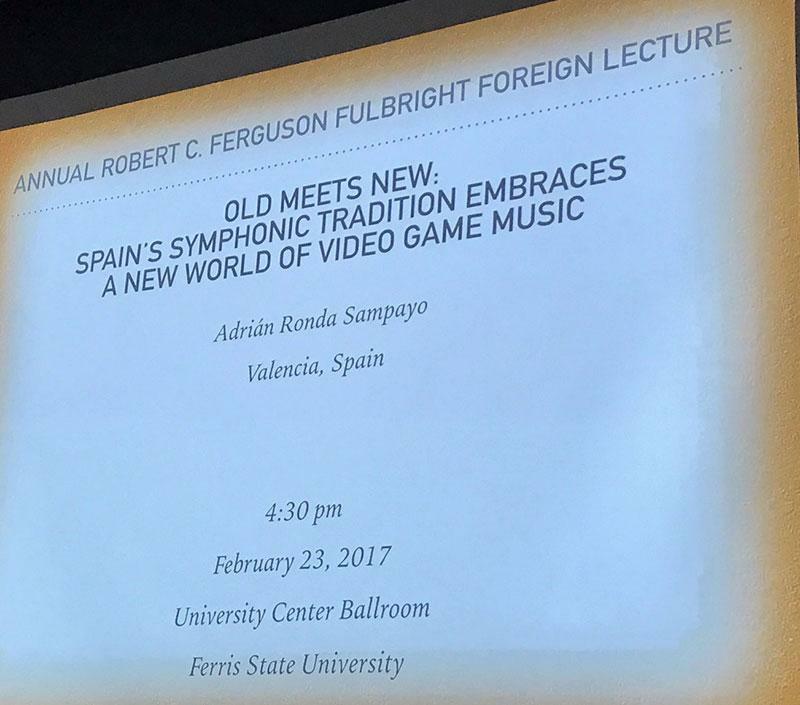 His presentation was titled "Old Meets New: Spain’s Symphonic Tradition Embraces a New World of Video Game Music."